Summertime is usually reserved for precious time to relax, travel, enjoy family and friends, clean, and make ready for a new beginning. This treasured time always seems to slip by so swiftly that we are often frustrated when we achieve far less than proposed. The long, hot days also lend themselves to quiet reflection: thinking about what went well over the past year, what was left unfinished or disappointments that continue to haunt us — despite attempts to repress them. One of my summer reflections centered on the EdExploreSRQ journey. What has been accomplished to date? What areas should we continue to focus on in the year ahead? Thanks to The Patterson Foundation’s visionary leadership and collaboration with the Community Foundation of Sarasota County and the Education Foundation of Sarasota County, EdExploreSRQ’s thunder resounds in schools across the county. The impact of experiential learning for students is heartwarming as evidenced by their unremitting engagement while learning. Most importantly, Superintendent of Sarasota County Schools Lori White’s unwavering support for this initiative reminds us that leadership is key with any initiative. Superintendent White considers EdExploreSRQ one of the “hallmarks” of her tenure. She expressed her gratitude at a May school board meeting where she recognized the partners that have created endowments to ensure the sustainability of EdExploreSRQ. The Florida Alliance for Arts Education (FAAE) Leadership Summit paid tribute to Superintendent Lori White as their 2016 State Superintendent of the Year. The FAAE cited White’s tireless efforts to promote and maintain outstanding arts programs in local schools, as well as the strong relationships she has fostered with community arts organizations through programs like Any Given Child Sarasota, as key components in helping place Sarasota County among the state’s leaders in quality arts education for ALL students. Since February 2014, the Community Foundation of Sarasota County has provided $381,572.40 for 229 explorations. The success of endowment funds in supporting several provider organizations to acquire their own endowment funds for EdExploreSRQ as well the Community Foundation’s efforts to achieve their matching funds benchmarks. School-wide approaches to utilizing EdExploreSRQ made their debut whereby teachers incorporated multiple explorations at various grade levels throughout the year that were aligned to the curriculum. Efforts centered on demonstrating how to maximize funding resources to gain greater access for students. 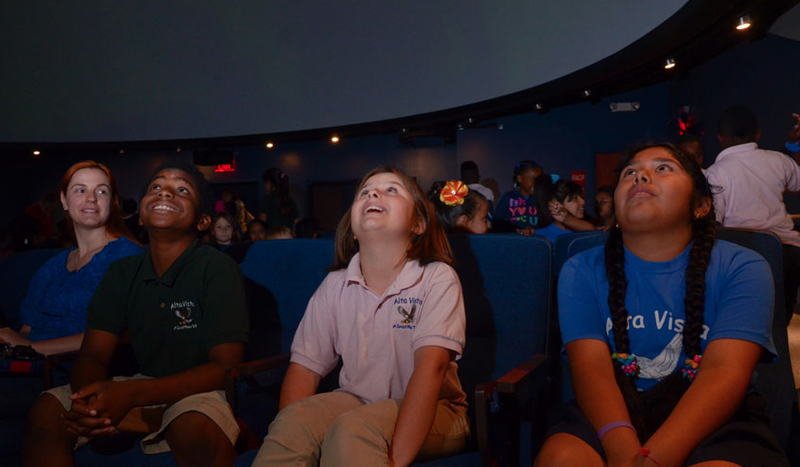 The Any Given Child Program provided greater access and equity by grade level to quality EdExplorations: All third graders attend the Sarasota Ballet; all fourth graders tour The Ringling, and soon all 8th graders will visit Patriot Plaza. In addition, Embracing Our Differences is available to all students at all grade levels at no cost. 1. All of the community cultural, arts, and science happenings that have long made our county a special place to live are now an essential element of a complete education ensuring access and equity especially for our Title I students. 2. Curricular connections with Instructional Focus guides and classroom resources developed by our organizations make stronger ties to curriculum standards than ever before, raising the bar for providers and holding teachers accountable regarding impact and rigor. 3. Collective Impact: the leadership of our local foundations has helped create a systemic approach that has impacted the entire community dedicated to serving students. Grant opportunities with rolling deadliness has allowed more flexibility and maximized timing for classroom teachers. There has been a greater investment and opportunity and resources leveraged by our providers. Some have created programs to fill gaps that hadn’t existed previously and others have expanded services to reach more students. Several organizations have expanded their own fundraising to continue to support explorations. Our investment and time to embed and spread the power of experiential learning for students through EdExploreSRQ will continue. We must cultivate new providers, enhance the quality of the explorations, address curricular gaps, and educate new teachers and administrators.